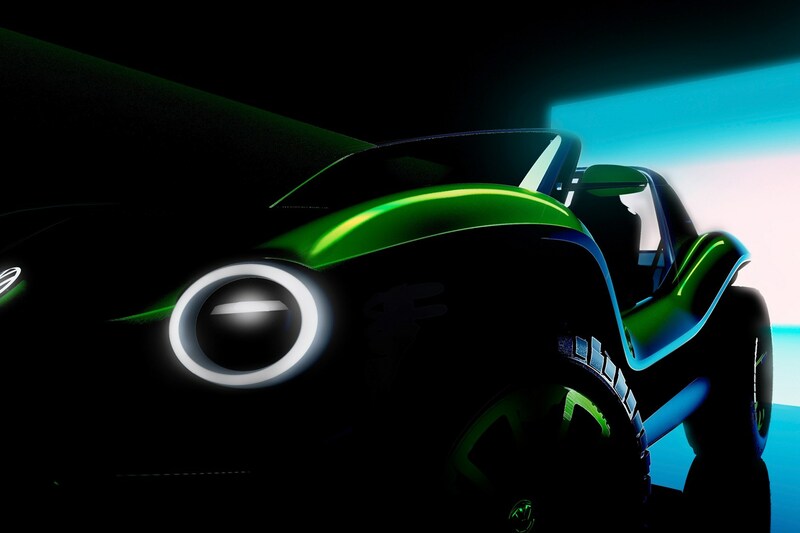 Volkswagen is bringing back the dune buggy but, this time, it’s all-electric. 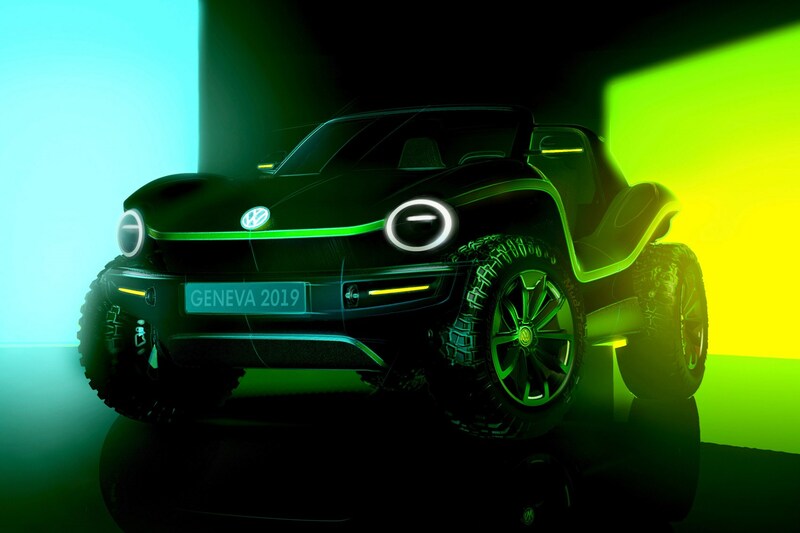 The VW ID Buggy might be just a concept for now, but CEO Herbert Diess confirmed at the 2019 Geneva motor show that it was considering launching it by collaborating with third-parties to make such niche cars viable. VW says this demonstration of how flexible MEB is also reflects the original Beetle chassis - the hardware that underpinned the classic dune buggies that surfer types in California love so dearly. 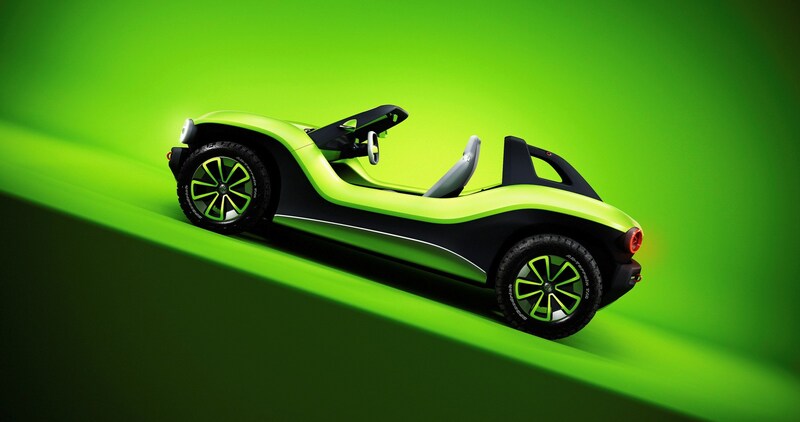 The 2019 style beach buggy is in fact designed for urban or rural use, although we can't quite imagine driving it on the autobahn for a family holiday. We saw the vehicle at the VW Group preview evening on 4 March and can vouch for its petite dimensions and neat detailing. Seeing it alongside the Seat el-Born near-production electric family car was a stark display of just how flexible MEB is: they both share the fundamental backbone, which packages the lithium-ion battery packs along the spine of the car. 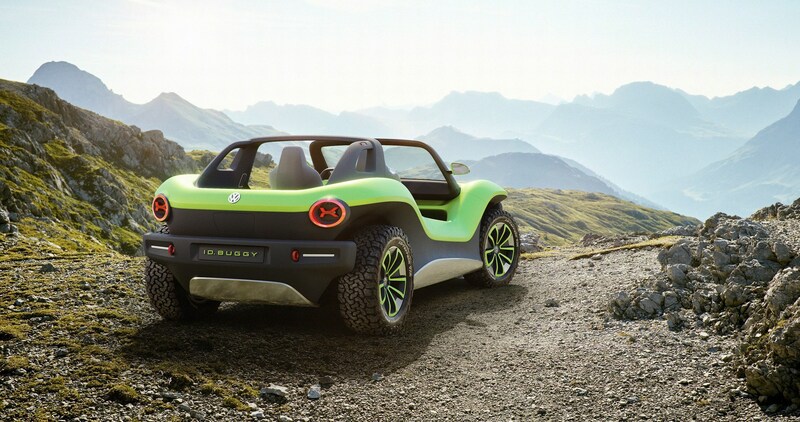 VW ID Buggy: what else do we know about the electric beach buggy? The car shown in Geneva is a strict two-seater, but VW claims it can be conceived as a 2+2 with occasional seats for your buddies in the back. The same happened with the '60s original, which was reshaped and remodelled by numerous coachbuilders with glassfibre bodywork. Here the bodywork is minimalist and waterproof, with plastics, aluminium and steel used in the bodywork; there is no roof or doors. Powering the ID Buggy is a 150 kW electric motor driving the rear wheels; that's the equivalent of around 200bhp, or hot hatch punch. It would be very easy to drop in a second motor at the front axle for 4wd, says Volkswagen. 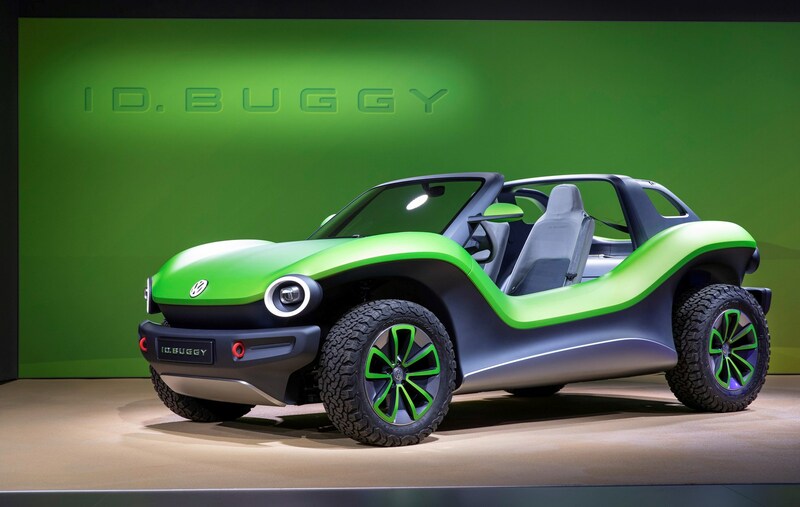 If this buggy were to go on sale, it could be the fifth from Wolfsburg to use the ID naming system after the Neo hatch, Crozz crossover, Buzz people carrier and van and the Vizzion four-seat waft-mobile.